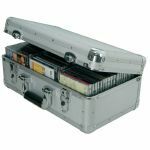 Notes: This case (the same dimensions as a standard CD album case - 9mm spine) will hold 2 discs. 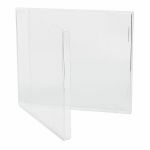 The double tray flips out to the right and paperwork can be held both at the front of the case and at the back. 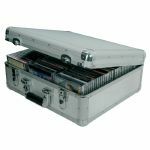 Notes: High quality CD case designed to hold one CD - without insert tray. 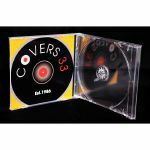 Notes: High quality CD jewel case designed to hold one CD, with black insert tray. Notes: Fold-out jewel case designed to hold two CD's.